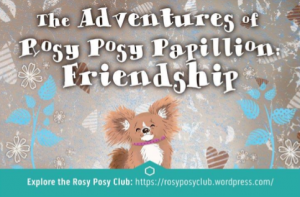 Join us for The Adventures of Rosy Posy Papillion! Hey everyone, welcome back to yet another fun-filled episode of the Reading with Your Kids Podcast. Our guest today is probably best known as pharmacist but she is much more than just that. She is a full-time writer, editor, award-winning teacher and the author of The Adventures of Rosy Posy: Friendship – a children’s series. Please welcome Dr. Diana Rangaves to the RWYK podcast! In our exciting interview today, we discuss The Adventures of Rosy Posy: Friendship , What inspired Dr. Rangaves to write her first children’s book, How can parents use her book as a tool to start some meaningful conversation with their child, her adult books, upcoming books in her children’s series and much more. Overall, there is a lot of incredible knowledge shared and insight to Dr. Rangaves’s life and what motivates her to create great content for people. Tune in as Dr. Rangaves talks about her positive, warm, child-centered & fun book! Diana Rangaves, is a pharmacist, ethics professor turned writer. An accomplished educator and business professional she now uses her powers for good writing health related articles, children’s books and political thrillers. Well respected in her field, she became part of the faculty at Santa Rosa Junior College. Dr. Rangaves earned several awards during her tenure; including, Outstanding Contribution by Adjunct Faculty, The Faculty Fund for Advanced Studies Award and the Santa Rosa Junior College Foundation Grant Award. Diana received a Doctorate in Pharmacy from the University of California, San Francisco. Diana is the author of the Rosy Posy Papillion children’s series. One-hundred percent of the author’s royalties benefit PapHavenRescue.org. She is also a foster mom for PapHavenRescue.org and lives in California with her dogs and pasture pets, in their forever home. 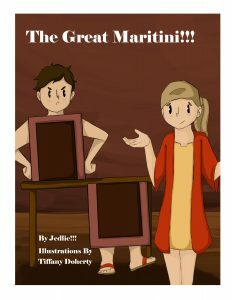 Each book link uses our Amazon affiliate code so we earn a small commission on whatever you purchase after clicking on the link. This helps fund the website and podcast. Thank you for your support..
Dr. Rangaves talks about donating 100% of her royalties from the book and what made her decide to give her earnings from the series to Pap Haven Rescue? Dr. Rangaves shares some great tips and advise on parenting such teaching kids about bullying and standing up for people who are in need. What adventure is next for Rosy Posy and much more. Be sure to tune in to this insightful episode! Finally, where can we find Diana Rangaves on the internet? Join us on Thursday for another episode of the Reading with your Kids Podcast. Till then have a wonderful time! PreviouslyMeet Kayla Wayman, Junior Time Traveler!